505 N Pearl Street - Open House Sunday! OPEN SUNDAY MARCH 31st – 1 -3:00. Welcome Home to the BJ Bidwell Home at 505 N Pearl! 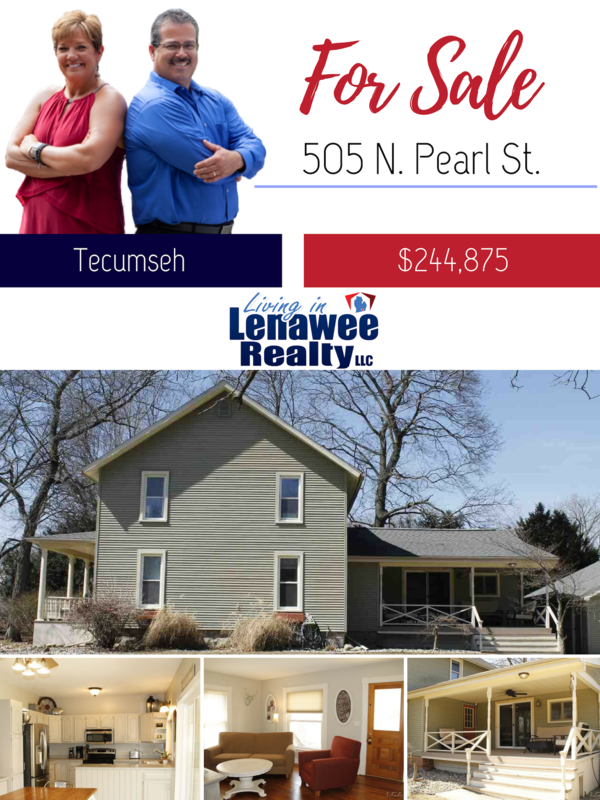 Located on 1.08 acres, this 4 bedroom 2 bath home features gorgeous hardwood floors, finished basement and detached garage. Enjoy the quiet setting while sitting on the porch or head on into the spacious upgraded kitchen with large eat in space and gas hearth stove. Home features a first floor bedroom and 3 spacious bedrooms upstairs. Basement is finished with family room/ bar area and a workout room. Give us a call or text (517) 403-6939 for more information or to schedule a private viewing!